The clinical multiple myeloma arena has undergone significant advancement in recent years; not only have 10 drugs been added to the armamentarium, but there have been important developments in diagnosis and staging, minimal residual disease (MRD) monitoring, and supportive care. The expansion of clinical options brings both opportunities and challenges for health care providers who see myeloma patients. In this roundtable, our expert panel discusses the newest evidence regarding the identification and treatment of high-risk disease, MRD measurement and results interpretation, and the clinical implications of the latest precision medicine trial results. This activity includes downloadable resources (including supplemental figures and tables). Board certified in hematology and medical oncology, Dr. Lonial is internationally recognized as a leading authority in multiple myeloma treatment and research. He is involved in numerous professional organizations, including the American Society of Clinical Oncology, the American Society of Hematology, and the American Society for Blood and Marrow Transplantation. 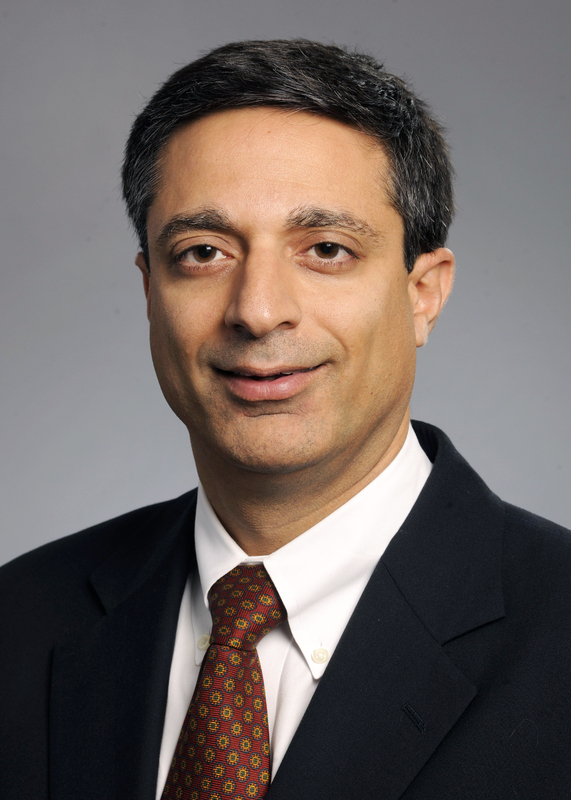 He is Vice Chair of the Myeloma Committee in the Eastern Cooperative Oncology Group and Chair of the Steering Committee for the Multiple Myeloma Research Consortium. Additionally, he is on the board of directors for the International Myeloma Society and the scientific Advisory Board for the International Myeloma Foundation. He is also a member of the Discovery and Developmental Therapeutics Research Program at Winship Cancer Institute of Emory University. Dr. Lonial’s recent research has focused on combinations of novel agents as therapy for myeloma and lymphoma, and particularly on evaluating combinations that may result in synergistic inhibition of the PI3-K/Akt pathway. His lab has recently received funding from the Multiple Myeloma Research Foundation, the Lymphoma Research Foundation, and The Leukemia & Lymphoma Society. Dr. Lonial has authored over 200 peer-reviewed publications. He serves on the editorial board of the Journal of Clinical Oncology and Leukemia; is the myeloma editor for Clinical Lymphoma, Myeloma, and Leukemia; and is the hematologic malignancies section editor for the journal Cancer. In addition, he is an invited or ad hoc reviewer for several publications, including Blood, and Haematologica, Clinical Cancer Research, The New England Journal of Medicine, and others. Dr. Lonial’s research focuses on combination therapy in B-cell malignancies focusing on myeloma. He is a trained bone marrow transplant physician with an interest in molecular therapy for lymphoma and myeloma. His clinical interests include evaluating the combination of new molecular targeted agents for B-cell cancers, as well as methods to enhance immunity following allogeneic or autologous stem cell transplant. Dr. Lonial is a member of several local committees as well as a member of several committees for the American Society of Hematology. He is also involved in numerous professional organizations including the American Society of Clinical Oncology and the American Society for Blood and Marrow Transplantation. In addition, he serves on the editorial board of the American Journal of Clinical Oncology and as an invited or ad hoc reviewer for several publications, including Blood, Journal of Clinical Oncology, and Haematologica, Clinical Cancer Research, Leukemia, and others. Dr Lonial has authored or coauthored numerous publications and abstracts and has given several presentations, locally, nationally, and internationally. Keith Stewart earned his MBChB degree at Aberdeen University Medical School in the United Kingdom and an MBA degree at the University of Western Ontario. He completed an internship at Glasgow Royal Infirmary in Glasgow, United Kingdom; a residency in internal medicine at Queens University, Kingston, Ontario; a fellowship in hematology at the University of Toronto; and a fellowship in research at New England Medical Center in Boston. Dr. Stewart is a consultant in the Division of Hematology and Oncology, Department of Internal Medicine, at Mayo Clinic in Arizona. He currently serves as the Carlson and Nelson Endowed Director of the Center for Individualized Medicine and is recognized as the Vasek and Anna Maria Polak Professor of Cancer Research. Dr. Stewart holds the academic rank of professor of medicine at the Mayo Clinic College of Medicine. Dr. Stewart’s research focuses on the biology, genomics, and individualized treatment of multiple myeloma. He has over 20 years of sustained national funding for a laboratory research program in genomics and biology of myeloma and has led numerous clinical trials of new drugs for this blood cancer. He consistently publishes in high-impact scientific journals and holds editorial and reviewer responsibilities for several prominent publications. He is frequently invited to give presentations on his research both domestically and internationally and has authored over 300 journal articles, abstracts, and other written publications. In recognition of his work, Dr. Stewart has received numerous awards and honors, including being named the Scott-Whitmore Chair in Hematology and Gene Therapy, conferred by the University of Toronto; one of Canada’s Top 40 Under 40; and one of America’s Top Doctors, conferred by Castle Connolly Medical Ltd. In addition to his research activities, Dr. Stewart is active in education and mentoring. He holds full faculty privileges in molecular pharmacology and experimental therapeutics at Mayo Graduate School, Mayo Clinic College of Medicine. 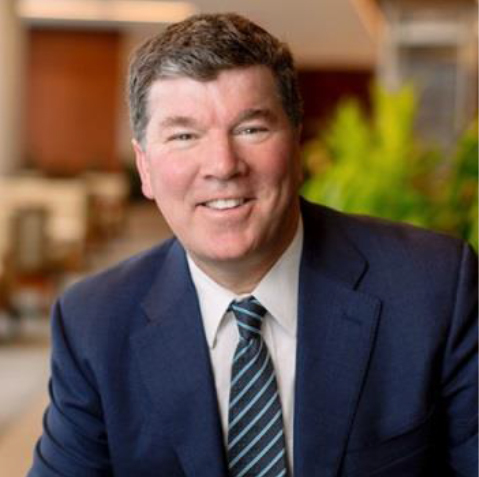 He has also served in several leadership roles across both research and practice at Mayo Clinic, including as dean for research in Arizona, chair of the Arizona Research Operations Management Team, and member of the Arizona Executive Operations Team and Clinical Practice Committees. Jeffrey L. Wolf earned a medical degree at the University of Illinois in Chicago and completed a residency in medicine at the University of California in San Diego. He completed a hematology and oncology fellowship at UCSF and a bone marrow transplantation rotation at the Fred Hutchinson Cancer Center in Seattle. He helped establish the bone marrow transplant program at the City of Hope National Medical Center in Duarte, California and then the first community hospital–based bone marrow transplant unit at Alta Bates Medical Center in Berkeley. Dr. Wolf joined the UCSF Division of Hematology and Oncology in 2007. An expert in cancers of the bone marrow and blood, as well as in bone marrow transplantation to treat these cancers, Dr. Wolf focuses his clinical practice on multiple myeloma. He is the director of the Multiple Myeloma Program and the Grand Multiple Myeloma Translational Initiative (MMTI) at the UCSF Helen Diller Family Comprehensive Cancer Center. Dr. Wolf has authored numerous articles in the peer-reviewed literature, and he is a frequent invited speaker. An active educator, Dr. Wolf lectures and mentors doctorate and medical students. His primary research interest is developing a myeloma program that incorporates basic science, clinical research, and a translational component. As part of the MMTI, he and his colleagues were able to re-direct eight world-class basic science labs into devoting some of their research specifically to myeloma. Among Dr. Wolf’s other notable contributions is assisting in expanding the imaging capabilities at an oncology hospital in Bhaktapur, Nepal—arranging for donations of essential diagnostic equipment. PSCM designates this enduring material for a maximum of 0.5 AMA PRA Category 1 Credit™. Physicians should claim only the credit commensurate with the extent of their participation in the activity. For questions regarding CME credit, contact Penn State Continuing Education at (717) 531-6483 or ContinuingEd@hmc.psu.edu. Please reference activity code G6164-18-T.